At the recent CES2010 in Las Vegas, there were multiple vendors showcasing many new unusual and useful gadgets. One such product is a novel keyring security tag called Nio. In recent past posts, I included some pictures and comments made by convicted burglars, in prison. As a locksmith, it is my mission to provide you, the home owner or office manager with solutions that will slow down or frustrate a potential burglary and create easy to access systems that protect you, your family and your colleagues. I cannot 100% guarantee that you will not suffer a break in, but I can provide you the tools to slow down a burglar or hopefully make them go next door. For an obligation free assessment, please contact us today. Do Burglars Really Think Like This? Love those flowers. That tells me you have taste … and taste means there are nice things inside. Those yard toys your kids leave out always make me wonder what type of gaming system they have. Readers Digest, is a well known publication that continues to offer many interesting articles, some of which include very sound advice. A recent article appeared on their site, indicating the things a would be burglar might look for prior to robbing you. Most jurisdictions across the USA are reporting their monthly crime data to the UCR for the FBI, since 1955. St Louis County makes these records publicly available to interested parties, though the Missouri State Highway Patrol, Statistical Analysis Center. Being in the security protection industry, the knowledge of crime statistics is vital and important to me and my neighbors. We have been producing relatively regular crime report statistics for particular towns in the St Louis County region, for certain periods in the last year. We have been sourcing this data from third party information mediums. While we cannot guarantee the accuracy of those records, the maps and breakdowns of specific streets and locations of incidents, can be considered worthwile to many people, because they are more specific in nature . We recently learned about the accurate records that are provided to the Missouri State Highway Patrol and we are pleased to bring this information to our readers here. 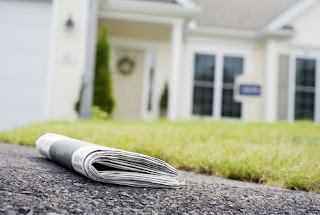 Where as, professionally we are primarily concerned with Robbery, Burglary and Larceny Theft, all classifications are important to be kept aware of. My principle service areas (where I receive most of my business from) are Central and West County precinct reporting areas. These specific precincts report 165 total of the 955 reported incidents. 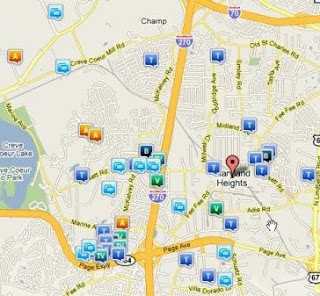 143/165 incidents in my principle service area include specifically Robbery, Burglary and Larceny Theft. 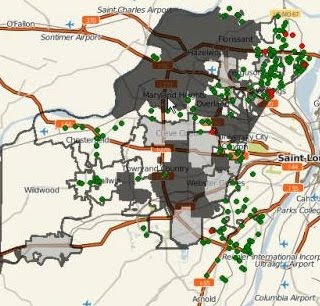 86.67% of all reported crimes to St Louis County Police, in Central and West Central County were property related incidents. To determine the area that is important to you, we provide the link to this data in the source below. Expect to hear these reports more often in future. A rather interesting set of statistics has come to light after a recent survey of mystery shoppers taken in the UK about the knowledge of shop assistants in hardware stores and other DIY outlets, relating to lock products knowledge. the mystery shopper investigation found that 63 per cent of staff in some of the UK's best known DIY outlets rated poorly when it came to lock knowledge; while only 15 per cent of 'shoppers' would rate advice received as satisfactory. 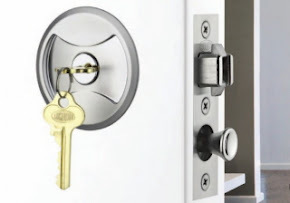 Three scenarios tested lock knowledge on various locking system (open, restricted and patented systems) multiple occupancy housing regulations and insurance stipulations. Mystery shoppers found a lack of understanding of lock requirements among staff meant they were not offered the right advice or asked appropriate questions. Across all of the scenarios some vital questions were overlooked by sales staff, often meaning they were unable to provide appropriate advice on lock suitability. Many locksmiths in this country have substantially more training than can be found in the hardware stores. Many hardware stores rarely hire any qualified professionals at all. The hardware stores have been closing in on the locksmith trade for many years but have been found wanting time and time again. When you seek financial advice, do you go to a financial services professional or to a shop assistant? Is the security of your property, home, colleagues and family, not important enough to you to seek the services and training of a professional? Electronic Door Locks - Are They Worth The Price? I have never been a strong proponent of electronic locking products, due to the constant maintenance required to keep them operating at maximum efficiency and certain other issues like poor component constructions, prone to not working in adverse weather conditions etc etc. 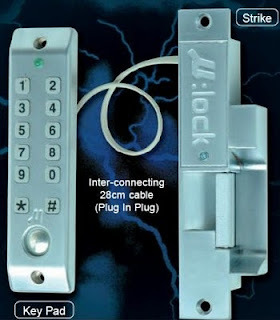 Every so often, I am asked to recommend electronic locking products. Having been in the physical security industry over 25 years and worked in multiple continents, I have seen many and varied applications. The electronic components in security products started way back in the early 20th century when the first electric strike was installed in an upmarket New York apartment complex. Up until that time, multi-level apartment complexes required doormen and an escorted elevator trip. The advantage that the electric strike presented was the ability to enjoy a secure entrance unmanned 24 hours a day and 7 days a week at a significantly reduced cost. Most electronic hardwired systems available today are required to be "fail-safe". This means that if the power fails or is interrupted, the device is un-secure. Many product manufacturers started putting in battery back-ups in their products to assist with security necessities. Technology is advancing rapidly and products are slowly becoming better quality and experiencing longer lives, however I still feel it necessary to recommend to my clients to maintain that mechanical back-up "just in case". This is expressly why the locksmith industry will continue to exist, much to the angst of some. Locksmiths, for over 2 centuries have been designing, maintaining and creating systems and products designed to protect the assets of the marketplace. Locksmiths will continue to do so for the next 200 years, I'm sure. When asked "Should We? ".....my first answer is based on determining the true benefits. But I always will recommend a mechanical backup. The true benefits could be, no more keys to worry about (what about the proximity card - doesnt this just take the place of a key? ), the ability to perform audit trails (on sophisticated systems), combination entry (negates the need for a key, but requires a code to be remembered - this could lead to codes being shared - leading to a major security issue). One of the best advances today is the advent of Bio-metric systems. Finger print or Iris identification systems can negate the need for a key or the need to remember a combination (you cannot lend your finger or eye to someone else - can you?). Facial recognition systems are also a new entrant to the market. The marketplace should also remember that electronic security products are still expensive and not as generally reliable as mechanical security products. Locksmiths can provide restricted key control systems that enable end users to control who has keys to their properties. This is one of the least expensive and most secure methods for protecting assets, often without the need to replace costly hardware. A few years ago I had shown this video here on this site to make people aware of potential vulnerabilities in the product. It should be noted that this is clearly in a carefully set up workshop but the technique is correct and identifies that the product has vulnerabilities that are alarming. Mul-T-Lock have since come out with newer updated versions that include interactive elements (like Bilock) and they are priced at the higher end of the marketing landscape. Mul-t-lock, like Medeco are both owned by Assa-Abloy and neither are bump or pick proof. Schlage Primus and Schlage Everest are products owned by Ingersoll Rand and are neither bump proof nor pick resistant compared to the more competitively priced Bilock product. Bilock is the first 100% Guaranteed Bump Proof and Virtually Pick Proof pin tumbler product available. The Cyberlock by Videx, has long been touted as bump proof and pick proof, but as the above video displays, a determined enthusiast has shown a vulnerability that cannot be ignored. Admittedly, he uses an especially modified magnet that fits the keyway profile of the particular cylinder, but it shows a determined person can bypass the cylinder (quite easily). It should be stressed that this is a carefully staged demonstration, but it certainly shows a vulnerability previously unknown. Electronic systems are still in their infancy and the Cyberlock by Videx is an excellent modern access control system that is considered ahead of it's time. But it does stress the importance of secure mechanical systems like our signature product Bilock, that enables totally secure bump proof and virtually pick proof, mechanical key operating systems, offering TOTAL key control and color coded, easy to secure and identify lock and key systems, at significantly more competitive costs. Arguably, consumers are requesting better security options that are economical, easy to use, efficient, fault free and long lasting. Bilock has proven itself in many and varied applications around the world, repeatedly as an affordable alternative to securing your property cost effectively. With the significantly reduced cost for top of the line security protection, you are better served in all respects by Bilock Extreme Security products. Ingersoll-Rand, the parent company of the Schlage Lock Company, were producing quality physical security products for many years. Pictured here, is a product that has many and varied applications. This is a stand-alone, narrow stile (mullion) battery powered electric strike with keypad entry. This application can be installed easily in many hard to fit applications. Many requests are for access control products that enable keypad entry systems. But there are few products that are designed for the narrow-stile doors found in common shopfronts that are competitively priced and functional. There are other products that can be used on narrow-stile doors but not many that are purposely designed, battery powered, simple enough to work with your existing lock*, cost effective and of similar quality to this brilliant product. The Rosslinear is battery powered with an electric strike and numbered keypad and iButton reader. The strike and keypad is powered by a small in-built lithium powered battery. External cabling and conduit are not required. The strike is designed to be used with mortise latches or tubular latches, like your common key-in-knob entrance set. It can be used with either knobs or levers. The Rosslinear strike is suited to individual offices, serviced offices, business centers, communal entries, appartment main entry doors, computer and server rooms, electrical and telecommunication cupboards, store rooms, banks and cash drawers (time- delay model). There are two models available, standard and additional featured. Update 08/25/2011: The Ingersoll Rand Microlock is discontinued. The inventor has partnered with Lock Focus to produce the Rosslinear Battery Powered Electric Strike. We are the exclusive agents in the USA for this fabulous product. We have installed these to communal secure access doors for schools, condominium complexes and automobile dealers. Many pizza delivery drivers doors use these exclusively because of their ease of installation and low cost. ASIS International, the respected international preeminent security professionals organization, founded in 1955, is dedicated to increasing the effectiveness and productivity of security professionals by developing educational programs and materials that address broad security interests. The CRISP Report (Connecting Research In Security to Practise) recently released a new discussion paper related to business security protection systems. While the report suggests that burglary rates are on the decline internationally, the crime continues to victimize businesses disproportionately despite simple and cost effective methods to protect shops, offices and facilities. 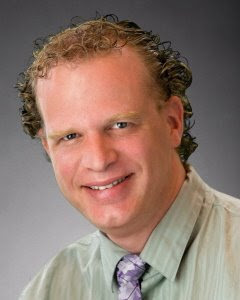 "Research shows that large reductions can be achieved in burglary incidents and losses through interventions that are often simple and costeffective," writes the report's author Tim Prenzler, Ph.D., chief investigator at the Australian Research Council Centre of Excellence in Policing and Security. "Nonetheless, a large proportion of the owners and managers of facilities are reluctant to invest in security." And this doesn't make sense, considering thieves target businesses disproportionately over homes. Businesses struck by burglars also tend to get hit again and again, a phenomenon known as repeat victimization. One U.K. study quoted in the report found that 3.4 percent of non-residential premises were victimized twice or more compared to 0.2 percent of homes. 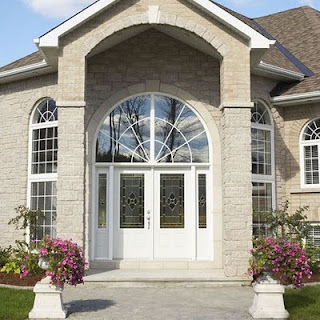 Typically, most burglars enter by forcing a window or a door open, regardless of the target. Business owners and managers naturally have more to deal with than just their sense of violation when burglaries occur. The average cost of a burglary came to $5,209 in 2008, according to the U.S. National Retail Security Survey. Yet sometimes a burglary can deliver a knock-out blow to a small business if important tools or records are stolen. 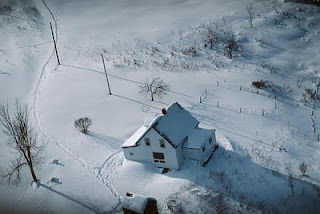 The report explains that burglary became a bigger problem in the United States because of the post-World War II economic boom and its social and cultural impact. Rapid industrialization put an increasing number of light-weight, high-value goods into stores and homes and these became prime targets for thieves. Access to cars increased offender mobility and the ability to transport larger stolen items. The increase in suitable targets was accompanied by large declines in guardianship. As couples had fewer children, women entered the workforce in greater numbers, and elderly people settled in retirement homes, there were more homes unguarded for longer periods. There was also a shift in residential patterns away from co-location with factories and retail outlets. Empty suburbs during the day, and empty commercial and industrial districts at night, presented a smorgasbord of burglary opportunities. 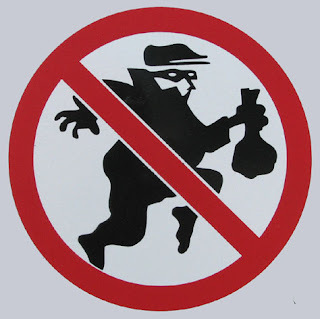 Young males predominately commit burglaries with approximately 80 percent being fellows between the ages of 15 and 25. The major motivations seem to be "drugs, alcohol, and conspicuous consumption." The bright side: their age and their reasons for committing such crimes makes most burglars easy to deter, the report states. While the report notes social prevention programs—like methadone programs—and police initiatives—like crime prevention partnerships—can decrease burglary rates, place managers can do a lot more to prevent burglary. Master Key Systems America has been providing St Louis businesses and residents with premium quality security products and services for over 3 years. Having learned and practised security products and services internationally for over 25 years, our experience in determining your most effective and cost effective physical security solutions are unparalleled. This month we bring you just the Maryland Heights crime statistics as reported by the Maryland Heights Police Department. A well known member of the locksport community and in all likelihood a locksmith himself, recently displayed the ease by which Schlage's flagship High-Security product, Primus can be picked, keyed and picked again. It should be noted that the conditions for picking the above lock are ideal and it is unlikely that such a feat can be as easily performed in a real world setting, although not impossible. That the person above, shows in detail what he is doing and confirms this with the disassembly and reassembly, while on camera, proves that this is not a hoax or an elaborate set up. There are many doubters and company line towers who continue to talk up the Primus product as a bump proof and pick resistant technology. We have proved in past articles that Schlage Primus is indeed NOT BUMP PROOF and now we further prove that the product is easily manipulated by a trained technician. 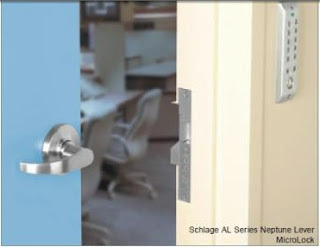 Schlage Primus is primarily found in North America. The product, like Medeco is not found as often in other countries or continents because it is far too expensive and does not offer the secure characteristics of many other brands. We recommend Bilock Extreme Security products as our preferred high-security product line. It is competitively priced, good looking, retro-fits in almost all leading hardware brands, is 100% Guaranteed BUMP PROOF and virtually pick proof. 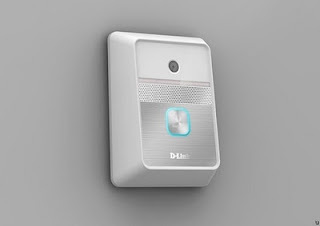 D-Link will be introducing a new security device at CES2010 in Las Vegas. This device occupies a small footprint and can be connected to your front door, enabling a wireless peephole type device. It is designed to communicate with a home computer system or directly to a 3G enabled smartphone. Operating like a doorbell, you will be able to even use it to sneak a peak out your door at night, without leaving your bed or chair. More details are sketchy, but expect to hear more in the next few days. I find it interesting, but not surprising that lately I am being called more and more often to repair locks for customers in and around the St Louis region, who have obviously had another person come in before me to try and repair the same thing. More often it seems to be that the person before me, either didnt carry replacement parts or didnt know the methods to dismantle and reassemble the lock in question. Simple things like, 2-3/4" Kwikset Latches (Backset), or replacement strike plates for entrance sets or mortise locks, replacement spindles for connecting handles together, replacing delicate sized machine screws, etc. Now, I dont carry replacement parts for everything, simply because the cost to repair an item as opposed to replacing the item is labor intensive. Many people seem to live with an attitude that they want to continue paying peanuts for products and services, yet expect those products and services to last. It is simply untrue. If you pay peanuts you will get monkeys. The reason that Baldwin Products are guaranteed for life, is because they are manufactured from extremely high quality components and built to standards that surpass most industry minimums. They are priced at the upper end of the spectrum of course, but rarely do you hear of a Baldwin Lock breaking down and parts being unavailable. One simply has to contact the Baldwin Factory, speak to a trained operator and order their replacement part. The factory will, in all likelihood send it to you including shipping, for nothing. In coming articles, we plan to expand upon repair techniques for various lock products, so you can begin to understand the types of things locksmiths do to repair locks in St Louis, Missouri and across the world. Many people make the mistake of thinking that one lock is as secure as the next. And coming from the standpoint of the consumer, it may look like the only real choices fall into the categories of color, brand and style. The appearance will be a factor but the primary focus of any lock purchase should be: will this protect me, my family and our property? And in that respect some locks don’t cut it. Does it really make since to try to protect your $150,000+ house with a $10 lock? ANSI (American National Standards Institute)and BHMA (Builders Hardware Manufacturers Association) are two companies that regulate and test lock hardware to verify that the manufactures can live up to their claims with regard to strength and usage (cycle) promises. Grade 1(Heavy Commercial), Grade 2 (Light Commercial/ Heavy Residential) and Grade3 (Light residential.) The cycle requirements for the Grade 3 status is 200,000, which means it should withstand 200,000 cyclesbefore failure. The Grade 2 requirement is 400,000 cycles and the Grade 1 requirement is 800,000. Along with the cycle standard there is also a strength standard. 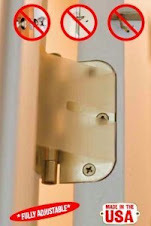 The strength standard regulates how much pressure or force the lock is designed to withstand during use before failure. The Grade 3 requirement for a door knob is 120 lbs of force and for a lever set 180 lbs. The Grade 2 knob is 150 lbs and the lever set is 225 lbs. And the Grade 1 knob is 300 lbs and lever set 450 lbs. The strength standards are designed to provide minimum levels of durability to guard against rough usage and vandalism. Most of the locks sold at hardware stores are of the Grade 3 variety designed for residential use, quite often in a construction version with a part-plastic latch. So even within the Grade rating there is a variance between one Grade 3 and the next. For instance: A lock that’s made out of pot metal could meet the minimum strength and cycle standards. But who wants a lock that fails on the finish line when for a little more you get a Grade 3 lock made out of higher quality metal that can meet and exceed the minimum standards; and look good doing it? Pro-Magic Lubra-Gel, is a high-pressure penetrating lubricant that is dispensed as a penetrating oil, then sets up as a grease like lubricant. It is tailored for institutional and industrial use. About 12 months ago, we completed a job for the local manufacturer of this incredible product. We were extremely lucky to be given 2 cans of this product. This product is not found on retail/wholesale inventories, but it is sold to companies that purchase from Cobitco Inc. Their Chesterfield, Missouri office is the only manufacturer of it. I have been extolling the virtues of another teflon based lubricant for some time and this product is of a similar value, but made locally. I used it today to lubricate a frozen lock. With one tiny squirt, the lock was like brand new. I have been using it for quite some time now, to help with various job requests and it hasn't failed me. Lubra-Gel will penetrate hard to reach areas, then set up as an excellent lubricant. Solvent evaporation is designed to provide this needed penetration. As far as I know, it is not sold retail or wholesale, but if I can convince the company to start, you will be the first to know. For a copy of the MSDS, please email us. Do you know what a Palindrome is? a word, line, verse, number, sentence, etc., reading the same backward as forward, as Madam, I'm Adam or Poor Dan is in a droop. Today is a once in a thousand year event. In the USA, the common method for writing todays date is 01/02/2010. Our once in a thousand year sale is on today only for any product we sell. Find any product we stock and we will let you have it for it's wholesale cost price + 33% + shipping. This special is today only for any orders received before 00:00 on January 3, 2010. Only email orders will be considered. Please email us today for your discounted product. 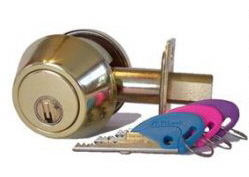 As an example our Pocket Door Lock With Key, regularly sells for $85.00 + shipping. Today only we will let them go for $65.00 each + shipping. This is a never to be repeated sale (at least in our lifetime), that you could benefit from. Act quickly. There are only 21 hours to go!